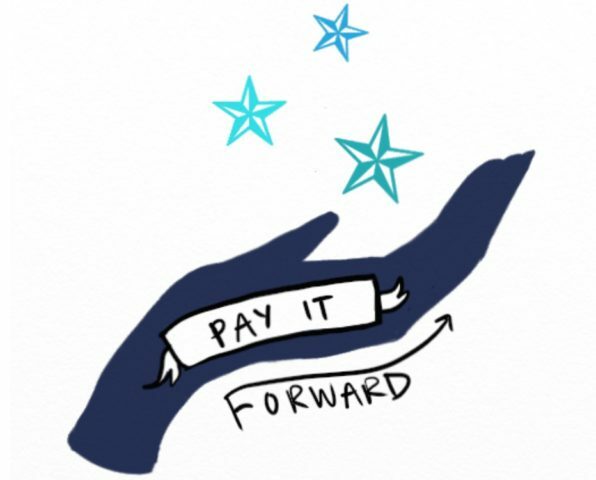 What does the term ‘pay it forward’ mean? It means if you have benefitted from a philanthropic act, you repay by helping another person in need instead of the one who was originally kind to you. In other words, instead of paying back, you pay it forward. In Almaden, a group of altruistic high schoolers are doing just that with ‘Pay It Forward Tutoring’. The Pay It Forward team comprises a group of highly motivated students from Leland High who “understand the value and impact of education in their lives and in the community”. And their way of giving back to the community is by tutoring elementary and middle school children throughout the year in various subjects. The program benefits Reading Partners, a non-profit organization that, in turn, works nationally to offer in-school, one-on-one tutoring to needy students as well as helps them develop literacy skills. For their tutoring service, the Pay It Forward team accepts donations made out directly to Reading Partners. The team estimates that this year the donations received will help sustain individual tutoring for more than 1,300 students in the Bay Area alone. To this end, they expect to raise $10,000. So, if you have a child at home in need of tutoring, don’t wait. Reach out to http://www.payitforwardtutoringsj.org and help pay it forward! Join The Studio by Angi to celebrate the Preston Skin Center’s 1st Year Anniversary Party at the studio on Thursday, November 15, 2012 from 6-9pm. Enjoy champagne, munchies, great music, and free certificates for glamorous make up lessons. Plus Holiday Gift Certificate Specials, Preston Skin Care Product Sale, and Boutique SALE with 20-50% off. Don’t miss this fun night with Preston. Watch an interview with Douglas Preston of The Preston Skin Center at The Studio by Angi. Almaden Valley Aesthetics, Rejuvenation Clinic and Skin Care Spa, will be hosting their annual Fall Open House on Thursday, October 18, 2012 from 3pm to 7pm. Meet the staff. Take advantage of the product sale. Make an appointment for your next service at a discount! Almaden Valley Aesthetics has created a niche in rejuvenation and relaxation by specializing in new methods of skin care, as well as traditional R&R spa services. Join Almaden Valley Counseling Service (AVCS) for its popular parenting programs. Two different programs are being offered this Fall: S.T.E.P. Positive Parenting and Cooperative Parenting and Divorce. StartOrganic is holding its second Almaden Valley Produce Share. Participants will be sharing fruits, vegetables, herbs, fresh flowers, plants, seedlings, seeds, bulbs, gardening tips, and recipes. Teens: The Studio by Angi wants you to start the new school year feeling and looking great! 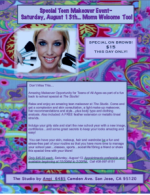 Don’t miss The Studio by Angi’s back to school special makeover for girls ages 12 and over. Learn important beauty skills that will keep your looks amazing and easy. You will receive a complexion and skin consultation; learn skin, makeup, and hair recommendations and tricks; receive a fantastic make-up makeover; and learn what style clothing looks best on your body type. StartOrganic is holding its first community produce-share in Almaden Valley. StartOrganic will be passing out a gamut of homegrown produce from its own network of local gardens. You can also get information about how you can start or expand your own organic garden at home. The Studio by Angi is a new hair and skin salon, boutique, and espresso bar in Almaden Valley. The salon offers the latest in hair design and rejuvenating skin treatments. The hair stylists and medical estheticians all have extensive background and expertise. The boutique offers unique, affordable treasures from designer clothing and accessories to artisan home décor. The espresso bar offers eco-friendly coffees, gourmet sandwiches, and confectionary treats. “Our goal is to offer Almaden Valley a hip, new design oriented hair and skin salon, coupled with a chic and trendy boutique. We want The Studio to be the ultimate experience,” says Krystal Woodworth, co-owner of The Studio and CEO of AngiUSA. The Studio has an inviting atmosphere, from its Parisian-style street-front espresso bar to its creative and energetic ambiance that boasts a twist of stylish, “art-sy” décor, amazing artwork, and light and airy spaces adorned with ironwork and floor-to-ceiling windows, and great music. The Studio’s official grand opening is Friday, May 20, 2011 from 10am-5pm, with a reception from 6-9pm. Special events are Saturday, May 21, 2011 from 10am-4pm. Guests will receive a personal tour of the salon, giveaways, wine tasting, and hors d’oeuvres. Plus an opportunity to enjoy free hair and skin consultations, preview new artists and designers, browse and shop. The Studio is also promoting 20% discounts off all hair and skin care products for the weekend, featuring Bumble and Bumble and Pureology. To celebrate the grand opening, skin care services are 20% off through July 15, 2011. The Studio by Angi is made up of a group of seasoned founders and Almaden Valley business professionals. The Studio is part of Artisans Network Galleria, Inc., AngiUSA, an Almaden Valley based social-entrepreneurial organization, focusing on creating positive change in communities by ensuring the empowerment of individuals and inspiring creative growth. AngiUSA also offers a dynamic Web site gallery with an extensive selection of amazing works by talented artisans and designers. Join Almaden Valley Counseling Service (AVCS) for its popular parenting programs. Two different programs are being offered this Spring. The S.T.E.P. Positive Parenting program is for parents of preschool, school age, and teenage children. Learn to understand yourself and your child, build your child’s self-esteem and instill responsibility, implement discipline versus punishment, and so much more. S.T.E.P. Positive Parenting classes begin the week of April 18, 2011, and are held one night a week for 7 weeks from 7:15 to 9:15pm. The price is $125 for one parent or $175 for a couple (includes class materials). Get more information about AVCS’s S.T.E.P. Positive Parenting program. The Cooperative Parenting and Divorce program is for parents who are either divorced or in the process of divorcing. Learn how to parent as a team when you are no longer a couple. The class focuses on shifting roles from former spouses to co-parents, managing anger and resolving conflict, and understanding the factors and issues that influence a child’s post-divorce adjustment. Cooperative Parenting and Divorce classes begin the week of April 18, 2011, and are held on Thursdays for 8 weeks from 7:15 to 9:15pm. The price is $165 per person (includes class materials). Get more information about AVCS’s Cooperative Parenting and Divorce program. For more information, call 408-997-0200 or email staff@avcounseling.org. Learn how to really STEP up to the challenge of parenting. Join Almaden Valley Counseling Service’s seven-week effective parenting program.